When a baby needs extra closeness to their mum many of us sisters choose to wear a sling or a baby carrier. 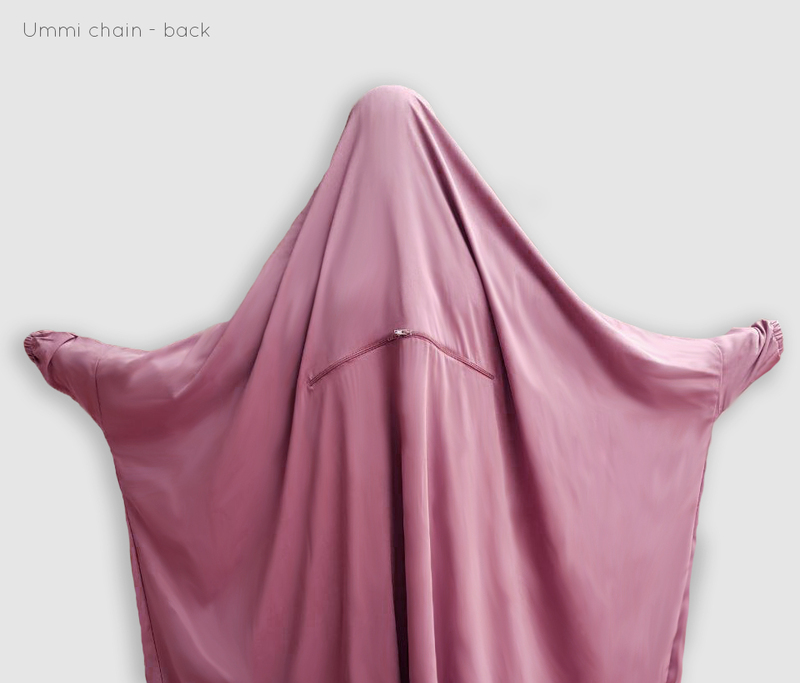 The ummi zipper, a horizontal zipper over the chest, makes it possible to wear the sling or carrier underneath the jilbab so we don't have to compromise on the conditions of the hidjaab. How do I know what length to choose? 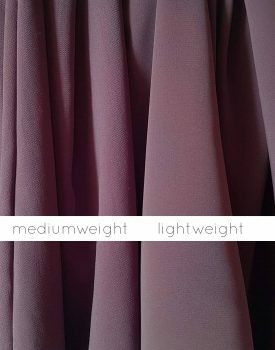 If you want to have your jilbab in a full length we recommend that you choose a size that is 5-8 cm longer than your own height. However if you want ankle length we recommend choosing the same length as your own height in cm. What's the difference in Standard and Petite? 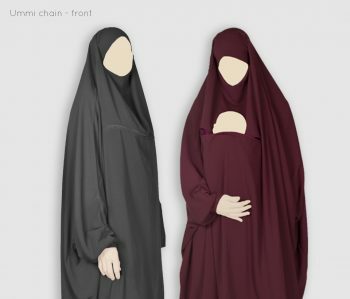 If you are a sister that is 180 cm or taller and want full length jilbab please contact us in order to make a longer jilbab than the options available, we can also make the sleeves longer if needed.